Awarded as Microsoft MVP 2017-18. 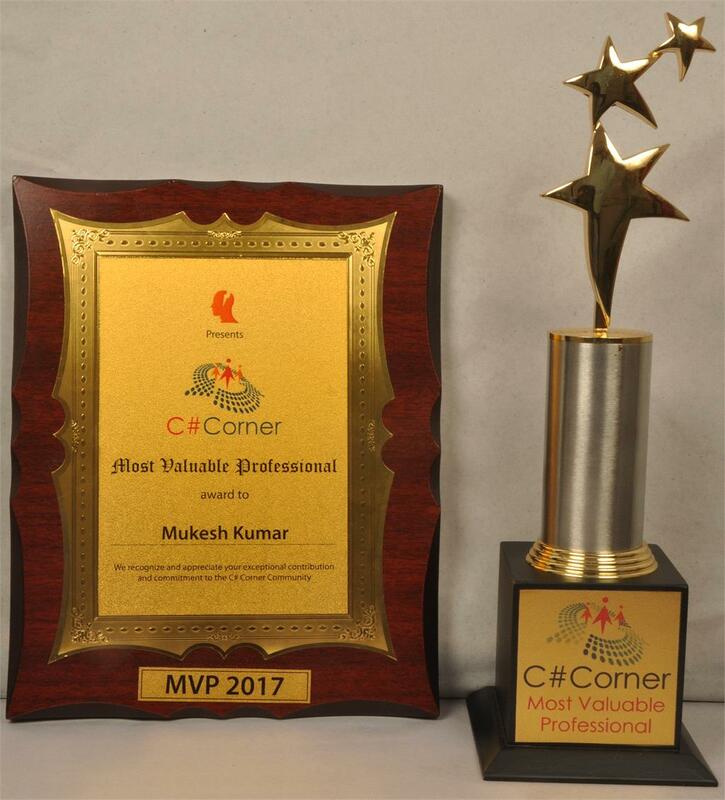 Very delighted to say that once again I am awarded as C# Corner MVP for 2016.This is my second MVP award in a row from C# Corner. Thanks C# Corner. 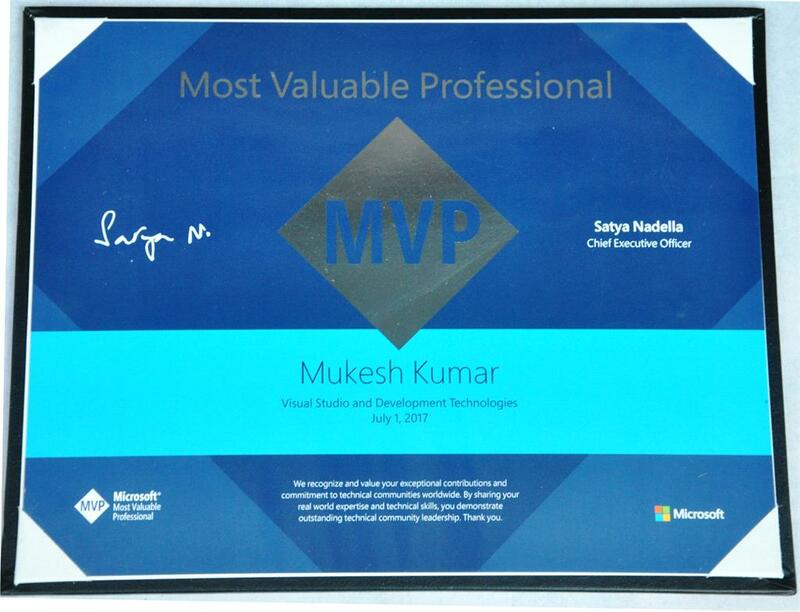 I am delighted to share that Microsoft has awarded me Microsoft Most Valuable Professional (MVP) 2016 in Visual Studio and Development Technologies. 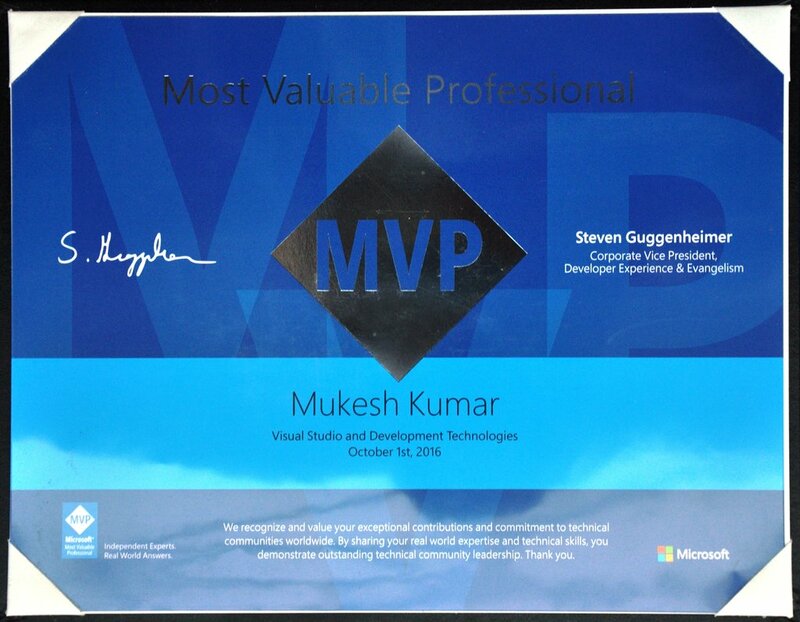 This is my first Microsoft MVP award and I believe many more to come. I never will forget to 1st October 2016, I got an email from Microsoft as following. They have selected me as Microsoft MVP 2016. This award is given me for contributing my experties in Microsoft Technology. I have shared my experience in Microsoft technologies through my personal blog www.mukeshkumar.net, C# Corner Community and Asp.Net forum. 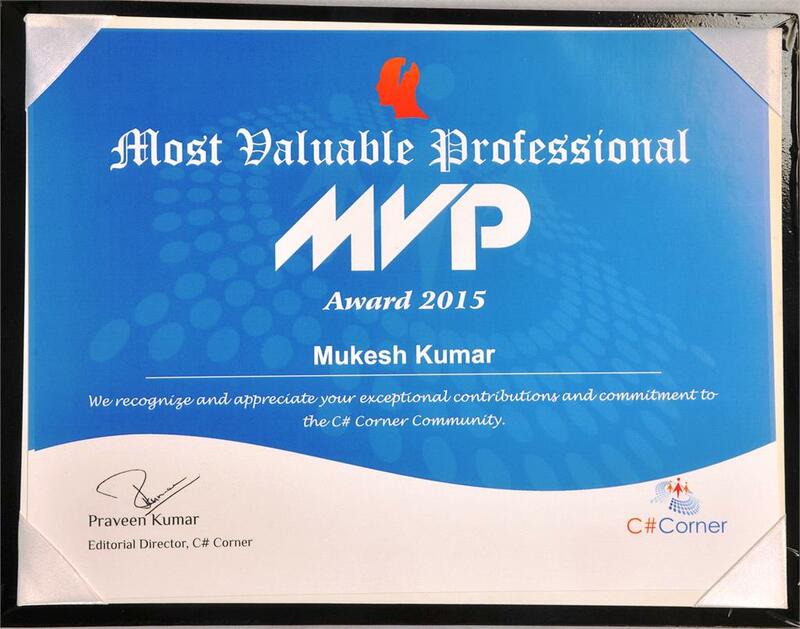 Today is 01 January 2016 and I just received an email from C# Corner that I have been awarded C# Corner MVP 2015. This is my first MVP award from C# Corner.